Under the leadership of the Castro/Upper Market Community Benefit District, a coalition of neighborhood groups will bring additional, dedicated resources to the Castro/Upper Market from the San Francisco Department of Public Health, the San Francisco Police Department, and the Patrol Special Police. Can a coat of paint hide a chain store? Can McDonald’s become Castro Hamburgers? Read an article about new development in the Castro neighborhood. The Shop In the Castro Social Media Campaign Spread the News to 4500 People and the Campaign Has a Winner! 4,500 people viewed the Shop In the Castro social media campaign! 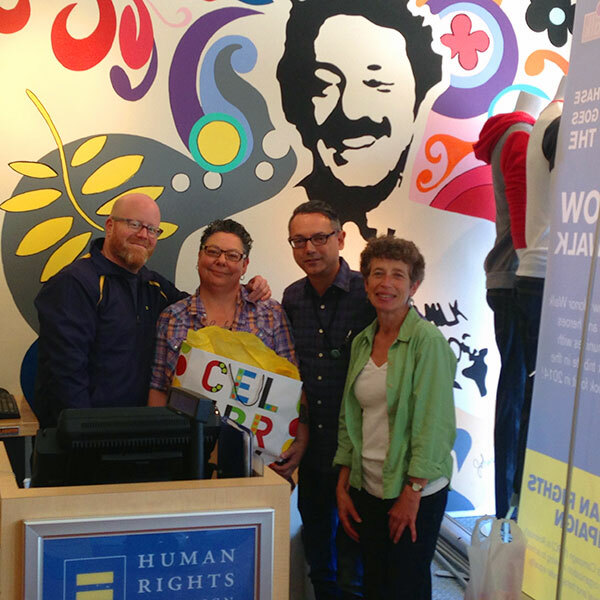 Congratulations to Donna @downtowndonna, winner of the Castro Pride package. Thank you to the generous merchants who donated to the Castro Pride Package: Castro Coffee, Cliff’s Variety, Citizen Clothing, BodySF, HRC Store, Swirl On Castro, MudPuppy’s, Harvey’s, and The Cove.